Hang out with me long enough and you will no doubt hear about my love for Black based midrange decks. I absolutely love playing disruptive creatures and backing them up with removal. For much of the past week, I was playing just such a deck and thought it was well positioned for the metagame. My first league run was successful — a 3-2 finish — and then the wheels came off. This deck was based around the idea that Faithless Looting is a uniquely powerful card but only in the right shell. In order to effectively utilize the sorcery, a deck needs to have access to a surplus of cards. Such an abundance of cards allows Looting to upgrade overall card quality in the late game. The best way to keep a steady flow of cards coming in Pauper is the Monarch mechanic. The Monarch has been a benefit to various midrange decks as a persistent form of card advantage. Despite the presence of Thorn of the Black Rose in Black, the prevalent crown granting card is Palace Sentinels. This has to do with the Sentinels natural resistance to Lightning Bolt and its ability to negate attack steps with Prismatic Strands. But I was not going to be deterred. Of course, this was my first misstep. It should never matter what I believe is better if the proof is right there in plain sight. The deck I was attempting to play operates on a similar axis to the more well known and successful Boros Monarch. So why did I not just attempt to play Boros Monarch and see if Faithless Looting could fit in there? In hindsight I cannot think of a good reason. In the moment, however, I found my justification. I felt that Kor Skyfisher was on a downturn. Not only did it require warping the deck around it in a tempo negative manner, I also felt that the opportunity cost of running the Kor Skyfisher package was eating into other potential inclusions. While I may have been right in the moment, I went about filling the deck with another package that required too many slots. The main draw spells in the list all require a life payment and in order to lessen the damage the deck runs Pristine Talisman. Now Talisman itself is not a bad card, but by itself it is a 3 mana do nothing. That’s not what a midrange deck wants. 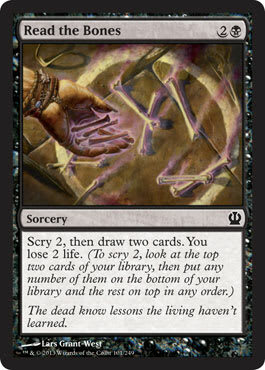 So we come to one of the first reasons Black based midrange suffers, the draw spells ask too much. It is not that Night's Whisper or Read the Bones are bad cards, just that the life payment is a hefty cost. It’s a shame, because I think Read the Bones may be the best raw draw spell in Pauper. At 3 mana, it gives the chance to look at four cards and that rate is hard to beat. 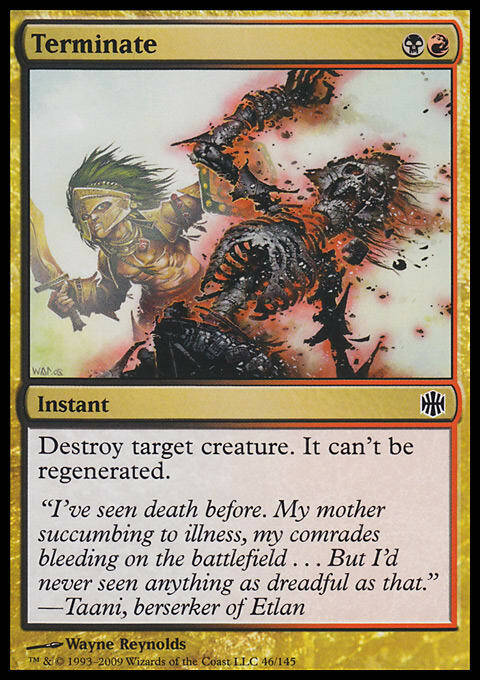 Yet with so many aggressive decks featured prominently in the metagame running cards like Read the Bones price you into running subpar lifegain like Pristine Talisman. Lone Missionary is a possibility but that creature is at its best when you can get multiple uses out of its enter the battlefield trigger. Pulse of Murasa is another possibility, but that card is best when paired with Mulldrifter. So that leaves Read the Bones as a card without a home. Back to the deck. It leans on cards like Duress and Addle to keep pace in the early game. Rakdos Midrange can fall behind early to a deck like Burn (those life payments add up) but being able to reach out and strip a key spell from an opponent’s hand can often buy the time necessary to stabilize the board. Addle, despite costing twice as much as Duress, is significantly better in Pauper since it can hit creatures. Duress is no Thoughtseize; it is no Inquisition of Kozilek. As a result, it needs a partner to disrupt opposing gameplans. And we have reached the second shortcoming in the deck. Duress might is a fine sideboard card as it can replace otherwise dead cards and help to buy time. In the main deck, however, it is often a dead card; even if it nab a spell, it may have no real impact. Pauper features cards like Gush and Mulldrifter and the aforementioned Monarch creatures to help undo the damage done by a single Duress. There are multiple decks that lean on Mnemonic Wall, and that card, despite not having a mouth, laughs at Duress. Sure, you can get around this by also running graveyard hate, but that creates the same problem as exists with the Read the Bones/Pristine Talisman package. Slots are valuable, and these midrange decks require dedicating multiple card spots to accomplish simple tasks. That is not a path to victory. What is a midrange deck? Technically speaking, it is a deck that resides somewhere between an aggressive strategy and a control deck. In a balanced metagame a midrange deck will attempt to top beatdown decks by being slightly slower and bigger and try to go under the control decks. The very best midrange decks are packed with creatures that can generate value that also aren’t slouches in the combat department. Sometimes a creature exists on one side of the aisle or the other — think Tarmogoyf — but even then these creatures do something. The creatures in Rakdos Midrange are underwhelming and, aside from Gurmag Angler, none of them attack especially well. That is not the biggest problem with Pauper midrange, however. Midrange decks reside between, and they work when they can bridge the gap. The canyon in Pauper is so wide it can be hard to effectively pick answers that work coherently against both poles. There is no Path to Exile, a spell that can handle a Delver of Secrets and a Dinrova Horror all the same. Sure, Terminate exists (and is great!) but 2 mana is so much more than one in these instances. Pauper midrange decks, my favorite archetype, try to exist in between and do so. The problem is the ends of their bridge reach neither shore and collapse under their own weight. Look again at Boros Monarch. It can spend the first few turns developing a board and seeing new cards. While it may set back its own board development, that stumble is negligible since it can recover with cheap burn spells. It also features creatures that are reasonable threats in their own right — Glint Hawk and Kor Skyfisher can do some damage. If that does not work it can always point those same burn spells at its opponent’s face or find a way to win with Battle Screech. Boros Monarch is a great midrange deck because it has the plan to bridge the gap. So what is Black missing? Its answers are narrow and its threats are subpar. The advantages it has over other colors are discard and graveyard recursion, but both are easily countered in the Pauper metagame. Why is my favorite deck bad? Because it’s not actually a deck, but instead it’s a pile of cards I want to play. Patrick Chapin noted that the prime directive of competitive Magic is to never play a bad version of something else. And that’s exactly what I did. What’s the next step? For me, it is going to be taking a good long look at the decks I want to play and trying to understand what I want to do. Then I am going to make sure that I am not just trying to be different for the same of being different and try to play an actual good deck.